What to buy a 3D-TV? Good luck finding one! If you are looking for a 3D-TV you will have trouble finding one. The reason is that as of 2017, 3D-TV has been discontinued. 3D has taken a back seat in TV tech as companies are putting their manufacturing and marketing resources into 4K, HDR, and other picture-enhancement technologies. 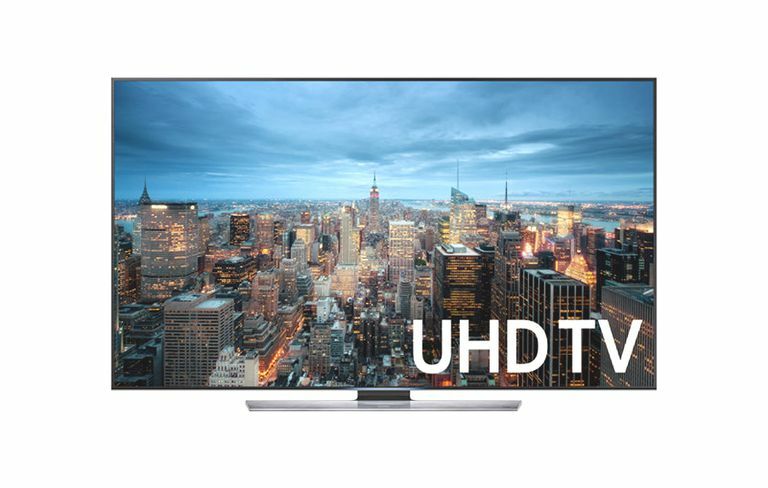 However, there are still some 3D-TVs available via some brick-and-mortar and online retailers and outlets on clearance, used, or models finishing their production runs, not to mention the millions that are still in use. If you are a 3D fan, your best option is to consider a 3D-enabled video projector, which is still being made by several companies. However, if you are searching for a 3D-TV, in addition to traditional TV buying tips, there are some other things to take into consideration for 3D. Find a good spot to place your 3D-TV. The darker the room, the better, so make sure if you have windows, you can still darken the room in the daytime. You need to have adequate viewing space between you and the TV. Allow 8 feet for a 50-inch or 10 feet for a 65-inch 3D TV, but make sure the viewing distance you choose is comfortable for both 2D and 3D viewing. 3D is best viewed on larger screen (if you have space) as it intended to be immersive, not like "looking through a small window". For more information on the optimal viewing distance for 3D-TV of a specific screen size, check out: Best 3D TV Screen Size and Viewing Distance (Practical Home Theater Guide). Many consumers purchase a TV, get it home just to return it because it just doesn't quite fit in the entertainment center, on the TV stand, or on the wall space. Just as with a traditional TV, make sure you measure the required space for your TV and bring those measurements and tape measure to the store with you. Account for at least a 1 to 2-inch leeway on all sides and several inches behind the set, in order to make it easier to install and allow for adequate ventilation as well as extra space for the installation of any audio/video connections, so there is enough room to move the TV so that cables can be easily connected. LCD or OLED - Which is Best For 3D-TV? Whether you choose a 3D LCD (LED/LCD) or OLED TV is your choice. However, there are things to consider with each option. LCD is most is commonly available TV type now that Plasma TVs have been discontinued, but make sure you do some comparison viewing before making a final choice. Some LCD TVs are better at displaying 3D than others. OLED is your second choice. OLED TVs provide excellent picture quality with deeper blacks, contributing to wider contrast and more saturated color, but are not as bright as some LCD TVs. Also, OLED TVs are more expensive than an LCD TV of equivalent screen size and feature set. Yes, you will need to wear glasses to watch 3D. However, these are not the cheap paper 3D glasses of yesteryear. There are two types of glasses used for 3D-TV viewing active shutter and passive polarized. Passive polarized glasses are inexpensive and anywhere from $5 to $25 each. Active shutter glasses have batteries and a transmitter that syncs the glasses with 3D images and are more expensive than passive polarized glasses ($50 to $150). The exact 3D TV model you buy determines whether passive polarized or active shutter glasses will be required. For example, LG uses the passive system, while Samsung uses the active shutter system. Sony offered both systems, depending on the model series. Depending on the manufacturer or retailer you buy from, 1 or 2 pairs of glasses may be provided, or they may be an optional purchase. Also, glasses branded for one manufacturer may not work on another 3D-TV. If you and a friend have different brand 3D-TVs, in most cases, you will not be able to borrow each other's 3D glasses. However, there are universal 3D glasses available that can work on most 3D TVs that use the active shutter system. Glasses-free 3D is possible, and that technology has made progress, especially in the professional and business markets, but such TVs are not widely available for consumers. To watch 3D on your 3D TV, you need additional components, and of course, content supplied by a 3D-enabled Blu-ray Disc player, HD-Cable/HD-Satellite via a compatible set-top box, and from the internet via select streaming services. 3D Blu-ray Disc players are designed to be compatible will all 3D TVs. The Blu-ray Disc player delivers two simultaneous 1080p signals (one 1080p signal for each eye). On the receiving end, 3D TV is able to receive and process this signal. If receiving 3D content via HD-cable or Satellite, you may need a new 3D-enabled Cable or Satellite box or it may be possible to provide an upgrade to your current box, depending on your service provider. For more details, contact your cable or satellite service provider. Of course, having a 3D TV, 3D Blu-ray Disc player, or 3D Cable/Satellite Box doesn't do you any good without content, which means buying BD Blu-ray Discs (as of 2018 there are over 500 titles available), and subscribing to 3D Cable/Satellite (check your satellite and cable programming guide) or internet streaming programming (Vudu, Netflix, and others). When you buy your 3D TV, take it out of the box, plug everything in and turn it on, you may find that the factory default settings may not get you the best 3D TV viewing results. Optimum 3D TV viewing requires a brighter image with more contrast and detail, as well as faster screen refresh rate. Check your TV's picture settings menu for presets, such as Sports, Standard, or dedicated 3D rather than Cinema. When viewing 3D, these settings provide a higher level of brightness and contrast. Also, check to see if settings are available for 120Hz or 240Hz refresh rate or processing. These settings will help decrease the amount of ghosting and lag in the 3D image as well as compensate for some of the brightness loss that occurs when viewing through 3D glasses. Changing your TVs settings will not damage your TV, and if you get them too far off, there are Reset options that can return your TV to its default settings. If you are uncomfortable changing your TV's settings, take advantage of any installation or setup services offered by your local dealer. Contrary to what you may have heard, all 3D TVs made for consumers allow you to watch TV in standard 2D. In other words, you don't have to watch 3D all time - you will find that your 3D TV is probably an excellent 2D TV. Nothing changes with audio with the introduction of 3D into a home theater setup, except how you might make the physical audio connections between a 3D-enabled source component, such as a Blu-ray Disc player and an existing or new home theater receiver. If you really want to be fully 3D signal compliant across the entire connection chain of your home theater system, you need a 3D compatible home theater receiver that can pass a 3D signal from the Blu-ray Disc player through the receiver and on to the 3D-TV. However, if this is not in your budget, upgrading to a 3D-compatible home theater receiver, would be a low priority, as you can still send the video signal directly from the Blu-ray Disc Player to the TV and the audio from the player to the home theater receiver using a separate connection. However, this does add an extra cable connection to your setup and may limit access to some surround sound formats. Just as with other consumer electronics devices, budget wisely. Consider added costs, such as 3D Glasses, 3D Blu-ray Disc player, 3D Blu-ray Discs, 3D Home Theater receiver, and any cables you might need to connect it all together. If you are looking for a 3D-TV, supply of clearance and used units continue to dwindle as no new sets are being made at the current time. If you are looking to purchase your first 3D-TV or replacing/adding a new set, get one while you still can! Consider a 3D-enabled via projector instead. If the status of 3D-TV availability changes, this article will be updated accordingly. What Are the Different Types of 3D Glasses?